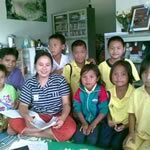 a. FTS Children’s Home is a Faith Ministry and can only exist as long as God makes provision for His vision. b. FTS-CH is totally dependent upon God for answers to prayers, money and support on all levels needed. Focus on relationships – we want every child to experience his or her being part of the “Family” of FTS-CH. Main relationships which will be developed will be between the Peer Group, every child and Jesus Christ, the “Parents”, the “Grand Parents”, the broader FREE TO SERVE Family, nature and the indigenous culture of the child. Focus on Kingdom Culture – The original links with the child’s natural Parents and Family and Village culture will be honored and further developed in a Kingdom Culture where applicable.